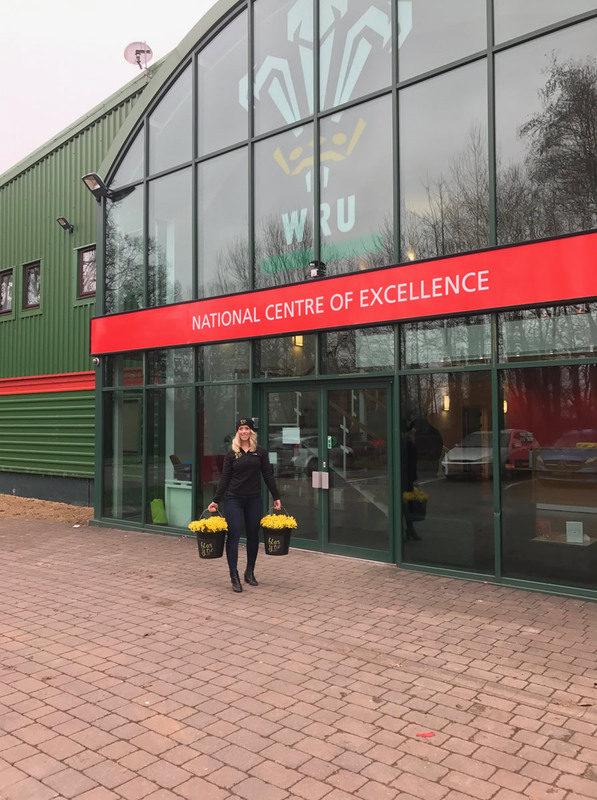 Any doubts Wales rugby defence coach Shaun Edwards may have had about the availability of daffodils were answered today (Friday) by a special delivery of homegrown daffodils! 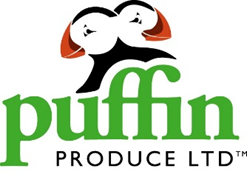 The blooms arrival was courtesy of fresh produce brand Blas y Tir, in response to the pre-match repartee between Shaun and England rugby boss Eddie Jones. In the build-up to tomorrow’s titanic Six Nations clash in Cardiff, Wales’ national flower was caught in the crossfire banter between the two coaches. Eddie jokingly said that Welsh fans could throw their daffodils at his team and Shaun responded by questioning if daffodils were around at this time of year. Says Blas y Tir’s Huw Thomas, “Good natured banter is part of the rugby fans’ psyche, and no more so than when Wales plays England. “Wearing the daffodil is part of the Welsh rugby fan’s uniform, to us it is more than a flower it is a sign of national pride and good luck. 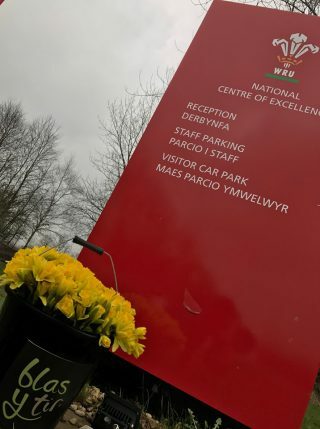 To make sure Shaun and his Welsh team colleagues have a fresh supply of daffodils for the big day Blas y Tir made a special delivery to the team’s base at the Vale Resort. Last week Blas y Tir revealed its ‘Great Daff Giveaway’ which will see the brand handing out 10,000 home grown daffodils free to Welsh rugby fans in outside the Principality Stadium tomorrow as ‘good luck’ charms. A sign of spring, daffodils are also said to bring luck, and Haverfordwest-based Blas y Tir is also hoping to soon hit the milestone of producing 2 million bunches. The Blas y Tir team will be out in force in Westgate Street from 12pm tomorrow handing out thousands of free daffodils to Welsh rugby fans along with pins to proudly fix the blooms to their shirts. Megan Tye of Blas y Tir delivering homegrown daffodils today to the Welsh rugby team.